The excess production of oil can lead to many skin ailments like blackheads, pimples, whiteheads, large pores and others. Yet, the advantage of oily skin is – we tend to age better and develop fewer wrinkles. However it is very difficult to maintain oily skin. Commercial treatments only provide temporary results. 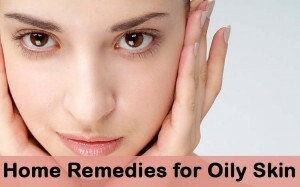 Simple home remedies help to control oil production and absorb the excess oil from the skin. Wondering which kitchen ingredients are helpful in treating oily skin? We have provided a detailed below. Mud or clay pack helps in removing the excess oil, restricts oil production and gets rid off impurities. Combine 1 teaspoon of clay and enough amounts of rosewater or witch hazel. Apply it over the clean skin and let it dry completely. For added benefits, you can add few drops of any essential oil. The alkalizing nature of gram flour absorbs the excess oil, removes impurities and dead skin cells. It makes your skin supple, soft and tight. Take a tablespoonful of gram flour and add enough amounts of rosewater to make a paste. Spread the paste over your skin avoiding the area around eyes and mouth. Alternatively, you can use milk, yogurt, or any fruit juice instead of rosewater. The vitamin A present in egg whites helps out to lighten the blemishes, tighten the pores and remove the excess oil. Gently whip an egg white until stiff. Spread a layer of it over the skin. Let it dry completely and rinse off with water. Whip one egg white until stiff. Add juice of 1/2 lemon and stir well. Spread a layer of the mixture on the face. Let it dry for 15 minutes and rinse off with water. Orange peels are rich in astringent properties which restrict the excess oil secretion. The vitamin C present in it prevents wrinkles and makes your skin fresh and soft. Let the orange peels dry under the sun until crisp. Blend them into fine powder. Combine orange peel powder and rose water to make a paste. Spread a layer of the paste on the skin and leave it on for 15 minutes. Extra Tip: Application of orange juice provides fair and younger looking skin. You can either apply orange juice directly on the skin or mix it with any other natural ingredients. Oatmeal absorbs the excess oil from the skin, unclog the pores and remove the dead skin. Cook some oatmeal and let it cool down. Combine oatmeal and honey to make a paste. Apply a thick layer of the mixture on the skin. Grind dry oats to make a fine powder. Add witch hazel into it to make a thick paste. Spread it over the skin and leave it to dry. Apples contain malic acid which exfoliate accumulated dead skin cells and absorb the excess sebum from the skin. The antiseptic, soothing and astringent properties are very helpful for your skin. Mix ½ cup mashed apple, ½ cup cooked oatmeal, 1 slightly beaten egg white, and 1 teaspoon lemon juice to make a paste. Apply to face and leave on 15-20 minutes. De-seed and crush a fresh apple. Mix it with 4 tablespoons honey. Grate 1/2 apple and place the grated apple shreds on your skin. Leave the application for 15 minutes and rinse off with tepid water. You can also add lemon juice and yogurt for added benefits. Note: Just like apple, you can also use pulp of fruits like mango, banana and papaya as a face pack. The astringent properties present in witch hazel tighten up the pores and dries up the excess oil. Using a cotton ball, apply witch hazel over the skin. Apple cider vinegar is rich in alpha hydroxyl sources which moisturize and tone the skin. The antibacterial properties of acv fight with the bacteria causing acne. Combine 1/4 cup of apple cider vinegar and 3/4 cup of distilled water. Using a cotton ball, apply the solution over your face. Leave the application for 5 – 10 minutes. For extra benefits, you can add 1 teaspoon of apple cider vinegar into a glass of water and drink it before going to bed. Note: If apple cider vinegar is not available then you can use white vinegar instead of it. White vinegar exfoliates and controls the oil production. Using a cotton ball, apply white vinegar over the skin. Leave it on for few minutes and rinse off with water. During summer, you can freeze the white vinegar into cubes and rub them over the face. Cucumber is well known for its astringent and cooling properties which are beneficial in controlling oil production. It contains vitamin A and E, potassium, magnesium and minerals which very good for nourishing the skin. Gently rub a cucumber slice on the skin for few minutes. Let the juice stay on the skin throughout the night. Combine 1/2 teaspoon each of cucumber juice and lemon/lime juice. Apply the mixture over the skin and leave it to dry completely. If you have sensitive skin, you can omit the lemon juice. The three herbs peppermint, sage and yarrow contain strong astringent properties which are beneficial for people with oily skin tone. Add 1 tablespoon each of peppermint, sage and yarrow into a cup of boiling water. Strain and let it cool down. Using a cotton ball, apply it over the skin. You can store the remaining water for future use. Note: In the same you can also make green tea and use it as toner. Honey nourishes and moisturizes the skin without making it oily. Lemon dries out the excess oil and rejuvenates the skin. The gritty nature of sugar exfoliates the dead skin cells and other impurities from the deep layers of the skin. Combine 1 teaspoon each of honey, lemon and sugar. Gently massage for few minutes and leave it on for another few minutes. The gritty nature of Epsom salt or sea salt remove the dead skin cells and impurities form the skin. You can either use Epsom salt, sea salt or kosher salt for scrubbing. Combine 1 tablespoon each of salt, lemon juice and lavender buds. Gently massage this mixture on the skin for few minutes. Combine 2 tablespoons of Epsom salt and few drops of essential oil like lavender oil, peppermint oil or any other as per your preference. Massage the mixture on your skin for few minutes. Baking soda is effective in removing dead skin cells, restricts oil production and balances the pH levels. Mix 2 tablespoons of baking soda with 1 tablespoon water to make a paste. Let it dry for 5 minutes and then rinse with warm water. Take ½ teaspoon baking soda, ½ teaspoon lemon juice and 1 tablespoon honey. Rub the mixture onto your face using clear finger tips. Strawberry is one of the best fruits we can use for scrubbing. The vitamin C and seeds of strawberry remove the dead skin cells, excess oil and brighten up the skin tone. It prevents wrinkles and slows down the ageing process. Mash few strawberries to make a paste. Add few drops of lemon juice into it and mix well. Apply it on the face and gently scrub for few minutes. Alternatively, you can use honey instead of lemon juice. Just like milk, the lactic acid present in yogurt helps to remove the impurities and excess oil from the skin. Apply 1 tablespoon of unsweetened yogurt on the face. Gently massage for few minutes. Leave it on for 15 minutes and rinse off with cool water. Alternatively, you can add ground oatmeal and honey into the yogurt. Note: Use can use buttermilk instead of yogurt. Buttermilk is also effective in removing excess oil on the skin. The vitamin C present in it removes the impurities, excess oil and tightens the pores. Blend a tomato and extract juice from it. Using a cotton ball, apply it on the skin. Leave it on until dry completely and rinse it off with lukewarm water. For extra benefits, you can add honey. Aloe vera is very effective for oily skin as it absorbs the excess oil present on the skin. Its antimicrobial properties deal with acne caused by oily skin. But an aloe vera leaf and extract the gel from it. Apply the gel on the skin and massage for a minute. Leave it to dry completely and wash with clean water. Add 1 aloe vera leaf to some water and bring t boil. Remove from the flame, let it cool and grind it by adding some honey. Apply the paste over the clean skin and leave it on for 20 minutes. Diet plays an integral part in controlling the excess sebum secretion of the skin. For maintaining a healthy skin it is extremely important to have healthy eating habits. It is very important to include fresh fruits, vegetables and leafy greens in your daily diet. Fresh and fibrous foods are helpful in eliminating toxins from the body. Fruits and vegetables that are rich in water i.e., watermelon, cucumber and other are helpful in cleansing the body. Fruits rich in vitamin C like oranges, sweet lime, lime, lemon and grapefruit are helpful in maintaining glowing and healthy skin. Foods that are rich in omega 3 fatty acids, vitamin A, B, D and E like soya beans, avocados, sea foods and others are helpful in preventing oily skin. Drinking plenty of water daily helps in hydrating the skin and prevents various skin ailments. Stay away from smoking, alcohol and caffeinated drinks, dairy products, canned or processed foods and refined flours which encourage oil production. Reducing the salt intake helps managing the oily skin more effectively. Enzymes present in foods like pineapple and pumpkin are helpful in dissolving excess oil and remove the dirt and dead skin cells from the skin’s surface. The combination of neroli and lavender oil acts as a toner and cleanser when sprayed on the skin. It helps to remove the excess oil from the skin. Consuming 1 tablespoon of flaxseed oil everyday ensures a healthy skin. It is better to consume it in the morning. Avoid skin care products with harmful chemicals: Skin care products containing harsh chemicals or alcohol will irritate your skin which leads to excess oil production. So it is better to avoid them. Stop over-washing: Washing your face more times worsens the skin condition. So limit it to 2 times in a day. Avoid heavy cosmetics: Heavy duty cosmetics and skin care products can clog your pores, trap dirt and oil in the skin pores which can lead to acne. Towels and pads that you use daily should be changed regularly as the oil and bacteria trapped in them can spread on your face and worsen the skin problems. Avoid damp makeup, heavy and oily skin care products. Wash your face only with mild soaps to keep oil production under the control. Don’t forget to wash your face and neck after reaching home from outdoors. Wash your face with lukewarm water. Never use hot water as it can strip away the oil from the skin. To remove dirt and close open pores, apply the astringent or toner. Use water based moisturizers to retain the moisture content in the skin. Sun rays are very harmful on the skin and encourage sebaceous glands to produce more oil. Apply sunscreen lotion to avoid the damage caused by sun. Facial steam helps in unclogging the pores and removes the dirt trapped in them and evaporates the oil on the skin. Before taking a facial steam, remove the any cream or makeup or else it can cause skin irritation. Just 5 minute facial steaming is enough. Choosing right cleanser is very essential for oily skin. Cleansers with added moisturizers can worsen up the skin. So it is better to choose water based cleanser that does not contain detergent properties. Don’t let oily skin keep you down, fight back by treating the root causes. If you have any queries, write to us in the comment section below. And don’t forget to share your experience with you. We love to hear from you. I have cronic deepdark sopts on my 4head and on nose neck ? my face is too oily bcoz of that i always suffering from very weird breakouts pls suggest me the best ingredient to prevent my skin from oil…. Try any method mentioned above. Apart from that, avoid moisturizers but use sunscreen before heading out, wash your face with cool water regularly, drink plenty of water and use water based cosmetics. Is it possible to use two or more tips in one week? Yes, you can. You can apply any method 3 times a week. Is the olive oil good for oily skin??? yes you can. Olive oil doesn’t clog pores and cause break outs. But if you are still not convinced then try using it with different ingredients like gram flour, sandalwood or rice flour. Or you can use many other remedies mentioned above. Please tell the process of olive oil with Honey for oily skin…? Mix 1 tablespoon each of olive oil and honey. Apply it on your face. Leave it on for 20 minutes and rinse off with water. my skin is soo oily that created pimples problem what i do ? It is true that excess amounts of oil clog the pores or hair follicles and develop a break out. Try the methods mentioned above to get rid of oily skin. Apart from that include fresh fruits and veggies in your daily diet, avoid oily foods and exercise regularly. N I have dark circles n eye bag… What are the remedies?? 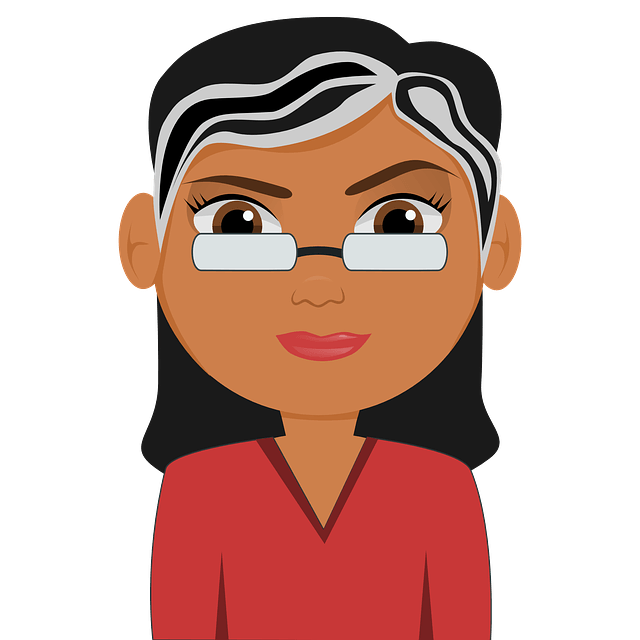 Here are the reference links to the articles for remedies. I had oily skin. Can I wash my face using gram flour daily to control excess oil of my face? Yes, you can. Gram flour absorbs the excess sebum and oil present on the skin. Let the gram flour mask rest for 15 minutes before you rinse off. Do I need to scrub my face first before applying any of the methods and if so which is the process to follow? You don’t have to scrub. You should wash your face and pat dry before applying any methods. For effective results, you can steam your face as it helps to open the pores and help the application to penetrate deeply. hi….i have been trying most of these methods but find it difficult to do them daily because im super busy… i will like t know if amongst the above remedies the one which is most effective and that i will have to use weekly or monthly…. You can repeat the methods 1, 4, 7 or 10 once in a week. Sometimes application of commercial creams can block the pores which leads to over production of sweat and oil. So try to avoid the creams and check if there is any improvement. Yes, you can do all together in one day. Yes, it works. Choose any method as per your preference and try it regularly to notice the results. How to get rid of facial and upperlip hair permanently? How can I prevent oily face using rice flour? Combine 1 teaspoon rice flour, 1/2 teaspoon ground oats and enough amounts of honey to make a paste. Spread a thin layer of the paste over the face and let it dry for 15 minutes. Wet your fingers and gently rub off the mixture. Finally, rinse off with water and pat dry. Hello. Can I use lime juice in place of lemon juice? More than one method can use in the week? It is better to use only one method. If you use more than one method then the skin might get excessively dry which further triggers the glands to produce more oil. I just wanted to know something, does using contraceptives(pills or injection) affect the skin? I have been using them for years and ever since i have started using them I have been having problems with my skin.I am using Nivea perfect and radient cream since early June this year and it treated my skin very well it was glowing and then I bought another cream perfect and radient for normal to oily skin not knowing that it’s not the same as the one that I normally use and it upset my skin very much so that it had breakouts,spots and it got darker. SoI stopped using it and bought the old one and it got better but still not glowing as the first time I started using it. I wash my face using the clean&clear bar soap and also use the Rooibos Toner (use it twice daily) and the 3 in 1 wash,scrub&mask (use it once a week) and by the end of the month I always have rash on my face. Can you please assist me I look horrible and it lowers my self esteem because I don’t use any make-up. What type of body cream is good for the oily skin?